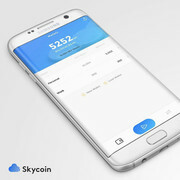 When skycoin launch android mobile wallet? (01-25-2018, 11:29 AM)Kladus Wrote: When skycoin launch android mobile wallet? @skyguy any updates on the Android SKY wallet application? Edit: I posted to the GitHub about it, other users have the same problem, but when you tap the text for "Click to add a wallet" it just quits out of the app... So I cannot create a wallet and receive SKY.... Seems like quite the issue, here. For now, I'm using the desktop wallet. Current time: 04-25-2019, 02:20 PM Powered By MyBB, © 2002-2019 MyBB Group.